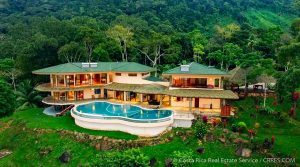 Costa Rica Real Estate Service is a full service real estate brokerage located in the coastal town of Dominical, Costa Rica, in the South Pacific part of the country, where the dramatic rain forest covered Talamanca Mountains touch the Pacific Ocean. 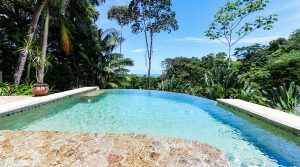 We offer Costa Rica properties for sale in Dominical, Uvita, Quepos and Manuel Antonio, Jaco, Ojochal, neighborhoods in San Jose and beyond. We have brokered deals across the entire country. 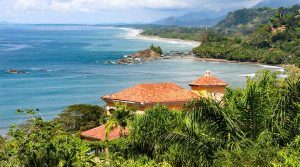 If you are looking for professional advice and representation with your next real estate purchase in Costa Rica, you have found the right place. 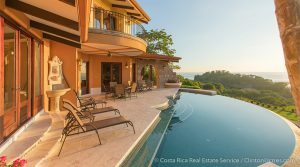 With over 15 years of success in real estate sales and development in Costa Rica, our team of veteran real estate professionals, including expat and Costa Rican born real estate agents are here to assist you in every step of the real estate transaction process, from property research and touring, to property due diligence, negotiation and closing of real estate transactions, to post-sale property management and development. It is our goal to develop long lasting, successful, productive, and profitable relationships, free of exposure to you and your investment. We are deeply committed to the community and have our finger on the pulse of the local real estate market. 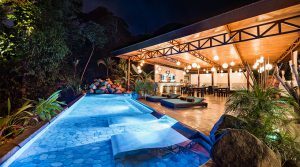 Our team of professionals are here to make your development project, home build out, retirement, and transition to Costa Rica a smooth and painless process. We enjoy helping our neighbors! 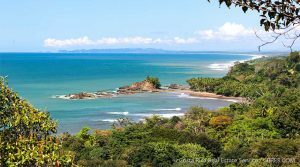 The South Central Pacific coast, including properties in Dominical, is the most beautiful region in Costa Rica. 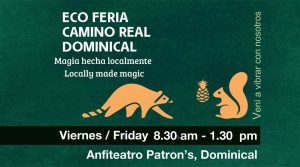 It is the only place in the country where the Talamanca Mountains and the rain forest touch the sea. The vegetation here is very lush and green all year. 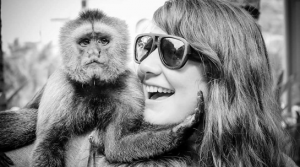 Wildlife is abundant everywhere and we are surrounded by National Parks. The geology of the area creates very stunning and majestic ocean, valley and mountain views and is reminiscent of Hawaii before it’s over-development. You can live at higher cooler elevations and be near the beach, perfect surf, world-class fishing, whale watching, scuba diving and snorkeling. The prices here are more reasonable with greater gains to be realized on your investment. Average building costs are relatively low (top quality concrete / steel construction is $70 to $100 sqft.). 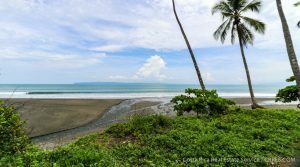 There are beautiful homes and building lots close to the beach with stunning views and cool ocean breezes at the higher elevation. The vacation rental market here is very strong with many homeowners realizing 2k to 5k a week. The investment opportunity here is amazing. The roads are paved from San Jose to Dominical and south to Panama. 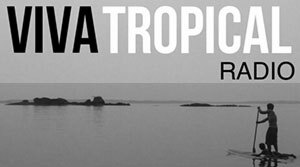 The new full service Marina Pez Vela in Quepos is in full operation and open for business. 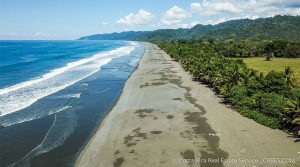 New businesses are opening their doors and residential projects are breaking ground in Dominical and Uvita. 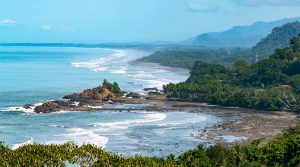 Demand and value for Costa Rica Real Estate in the southern part of the country is growing rapidly and now is great time to buy before prices get out of hand. 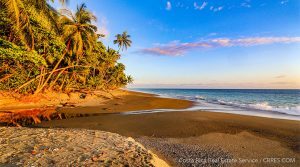 Contact one of our experienced real estate agents in Costa Rica to learn more. 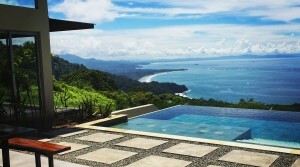 No matter what type of real estate you are looking for in Costa Rica, we’ll help you find it. 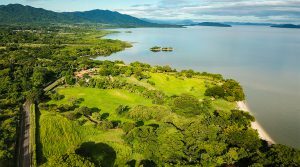 We provide professional service for clients from all over the world, each with a different need – whether you are looking for a vacation home in Costa Rica, a dream place to retire on a fixed income, want to flip a property for a quick profit, maybe own a turn-key business, or would like to purchase land for an investment portfolio and land conservation – we are here to keep you informed and help you every step of the way with all of your real estate needs in Costa Rica. We will be your eyes and ears in the field every day, looking for exciting new opportunities to serve you faithfully now and into the future.